If Steve Jobs, Mark Cuban, Arlene Dickenson, Mother Theresa, did it, then you can do it too! ASKING for help will fast track your results! 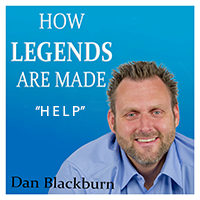 In todays episode we wrestle the age-old challenge of asking for help. If you wanted to get somewhere and didn’t know how, would you ask for help, or would you suffer in the struggle of doing it alone? If you answered yes to the later, THIS PODCAST IS FOR YOU!